Amitabh Bachchan (born Amitabh Harivansh Rai Shrivastava Bachchan) is one of India’s most iconic actors known for mega hits like Sholay, Zanjeer and the famous TV show Kaun Banega Crorepati. Born to the renowned poet Harivansh Rai Bachchan, he has been honoured with the Padma Shri (1984), Padma Bhushan (2001) and the Padma Vibhushan (2015) awards for his contribution to the arts. Amitabh is also the recipient of the highest civilian award in France, Knight of the Legion of Honour (2007). Amitabh started his acting career with Khwaja Ahmad Abbas’ social war drama film Saat Hindustani in 1969. He got widespread recognition from his role as a doctor in Anand (1971) alongside Rajesh Khanna, and won his first Filmfare Award for Best Supporting Actor. Anand featured the timeless classic Kahin Door Jab Din Dhal Jaye and Manna Dey’s Zindagi Kaisi Hai Paheli. Amitabh’s next venture was Parwana (1971) in which he played his first negative role as an obsessed lover-turned-murderer. The soundtrack of the movie boasted of hits like Piya Ki Gali Lage Bhali, Yun Na Sharma Phailade and Simti Si Sharmai Si. Bachchan’s fame skyrocketed with his big commercial success Zanjeer in 1973 which serenaded audiences with memorable songs like Deewane Hai Deewanon Ko and Yari Hai Imaan Mera. The same year, he starred in the hit movie Abhimaan. He won his second Filmfare Award for Best Supporting Actor in Namak Haraam, best remembered for Kishore Kumar’s superhit tracks Diye Jalte Hai and Main Shair Badnaam. In 1974, he acted in several box office hits, such as Kunwara Baap, Roti Kapada Aur Makaan and Majboor. 1975 marked one of his biggest box-office hits Deewaar, which contained Kishore Kumar and Asha Bhosle’s evergreen duet Kehdoon Tumhen. Amitabh set the benchmark of stardom with his blockbuster Sholay, the highest-grossing film of 1975 and also of all time (until then). Declared “Film of the Millennium” by BBC, the movie featured timeless classics like Yeh Dosti Hum Nahin, Koi Haseena and Mehbooba Mehbooba. In 1976, Bachchan played a young poet in Yash Chopra’s blockbuster Kabhi Kabhie which is best remembered for the classics Kabhi Kabhi Mere Dil Mein, Mere Ghar Ayee Ek Nanhi Pari and Tere Chehre Se Nazar Nahin. He enjoyed critical acclaim for the movies Suhaag, Mr. Natwarlal, Kaala Patthar and The Great Gambler in 1979. Amitabh debuted as a playback singer in his superhit film Mr. Natwarlal with the song Mere Paas Aao Mere Dosto and earned a Filmfare nomination for the Best Male Playback Singer. In 1981, he starred in Yash Chopra’s Silsila in which he sang his most iconic Holi song Rang Barse Bheege Chunarwali. Bachchan’s next blockbuster film was Coolie (1983) which became the highest grossing film of the year, and is best remembered for the song Mubarak Ho Tum Sabko Haj Ka Mahina. After a long gap due to injury while shooting for Coolie, he acted in mega hits like Shahenshah (1988), Agneepath (1990) and Hum (1991). 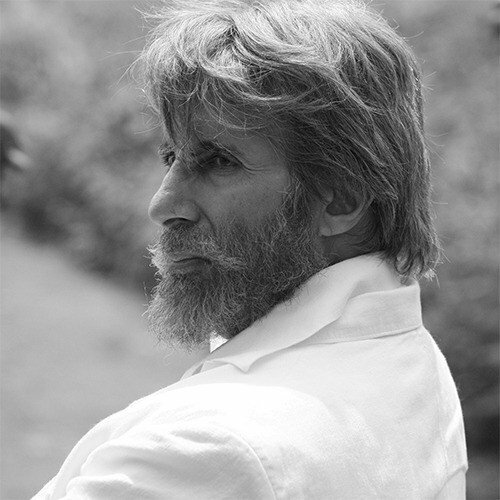 Taking a long break again, Amitabh then revived his career with Bade Miyan Chote Miyan (1998) and Sooryavansham (1999). Post 2000, Amitabh appeared in most of his films as an older figure and performed outstandingly in movies like Mohabbatein (2000), Kabhi Khushi Kabhie Gham (2001), Baghban (2003), Bunty Aur Babli (2005), Sarkar (2005) and Nishabd (2007). His song Hori Khele Raghuveera from Baghban has become the signature Holi song across the country. Amitabh has also played the role of his biological son’s Progeria-affected 13-year old son in Paa (2009). He debuted in Hollywood with a special appearance in The Great Gatsby (2013) alongside Leonardo DiCaprio and Tobey Maguire. Amitabh’s latest work Piku (2014) and Pink (2016) were highly appreciated for his performance. The poem Tu Chal from Pink in his voice won many hearts. Amitabh has won fifteen prestigious Filmfare Awards in his long career, but his run is not limited to just that. Aside from acting and singing, BigB has also hosted most of the episodes of the hugely popular television series Kaun Banega Crorepati (KBC), as well as the third season on the famous reality show Bigg Boss in 2009.